The actor, who suffers from Crohn’s disease, shared the news with his 2,300 Instagram followers as he uploaded a picture from his hospital bed. “Well I was brought into hospital by ambulance about 1a.m owing to some amount of sepsis with terrible Rygors while hooked up and infusing Saline,” he wrote. “It wasn’t even pumping that fast. Vomiting and upset gut and a temp of 39. My levels of neauraphil are below 1, .98 to be precise and 36 hours earlier they had been at 9,” the Coronation Street star continued. “3 is the bottom of that scale and I’m on .98 . It means my already weakened immune system is even weaker. “So I’ve been put in isolation…in other words I have a room to myself… I’m happy with that…” he added lightheartedly. Gareth, who has previously spoken out about having to take nutritional feel into his blood via a tube in his chest, told The Mirror about his condition, saying: “Having sepsis of any kind is part and parcel of living with Total Parenteral Nutrition and just one of those things that happens from time to time. The actor and comedian said he was “okay today” and that medics are investigating what caused the issue on this occasion. “I don’t have a temperature any more and am now being infused with some strong antibiotics to fight whatever bug is messing with my immune system,” he continued. He told the publication he shared the post on Instagram to encourage people with similar conditions to look at his page and “maybe have them realise that my life isn’t over because of my disability/health it’s just part of it”. 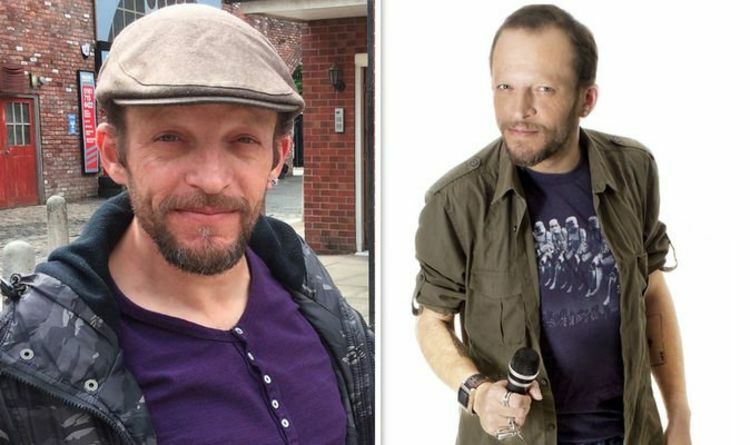 He also insisted he had a “positive mental attitude” towards his condition and said he’ll be using his time in hospital to finish writing his new stand-up show for Edinburgh Fringe Festival. The Coronation Street actor previously complained about “poor customer service” after he was unable to get a response from Qatar Airways about taking his lifesaving medication for Crohn’s on their flight without extra charges. In 2017, he told his 2,500 Twitter followers he had been battling with the airline to be able to board with his medical equipment without paying excess charges, saying: “@qatarairways I need an extra 45 kilo of weight for medical. You’ve offered 10. Appreciated but it will only allow me to live for a week. He later updated fans to tell them he was in conversation with the customer service team but called the ongoing exchange a “nightmare”. Three days later he once again tweeted the airline saying he was waiting for confirmation as to whether or not he would be charged for his equipment. A spokesperson for Qatar Airways replied to the post saying they were working to resolve the issue, but two days later Gareth asked again when he would know for certain. The airline eventually confirmed he would not face any extra charges. A spokesperson told Express.co.uk at the time: “We are disappointed that the passenger was not satisfied with our exemplary customer service whereby we offered free of charge the total luggage allowance requested at very short notice, together with a complimentary meet and assist service during his entire journey, prior to this article appearing. Gareth has played Macca in Corrie since 2014 and has previously appeared in EastEnders and Doctor Who.